From a little known address within the Vatican, operation "Eternity" is launched, ultimately redefining the world's intelligence services and their strategic plan for global cooperation. It all begins with a humble Pope with a different plan for this and the next world. 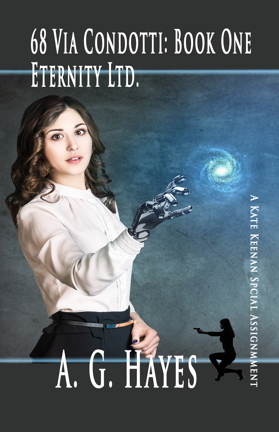 "68 VIA CONDOTTI: Eternity Ltd." is the first of three Kate Keenan Special Assignment books in a serialized read not unlike watching a 1950s movie serial. A simple realization in the mind of God's Hand on Earth ultimately reaches beyond this time and world. 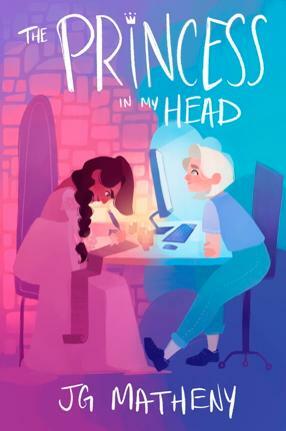 In a two-part work (novel and screenplay), medieval Princess Aqualine the Wise and modern-day Princess Allison the Benevolent defy logic but not magic to communicate through their dreams. Aqualine inks proclamations and Allison holds webcasts, inspiring their loyal subjects and solving problems through ideas and influence gained from each other’s world. Together they will face their problems, and find a solution over time and space. by entering "ONLINE" at time of purchase!